My name is Luke Carson. I was born and raised in Chesterfield County, VA. After high school at Thomas Dale I worked in various construction fields. I was a surveyor, installed commercial flooring and recreational equipment and framed residential houses. Framing houses sparked my interest in building homes. When you are the one driving the nails you begin to have a deeper appreciation and pride in the final product at the end of the day. After working on a framing crew, I became a construction superintendent for a local custom builder, Emerson Builders, Inc. I worked as a superintendent for Emerson for 10 years and oversaw construction of over 100 houses. As a construction superintendent I walked each customer through the building process from contract to closing. 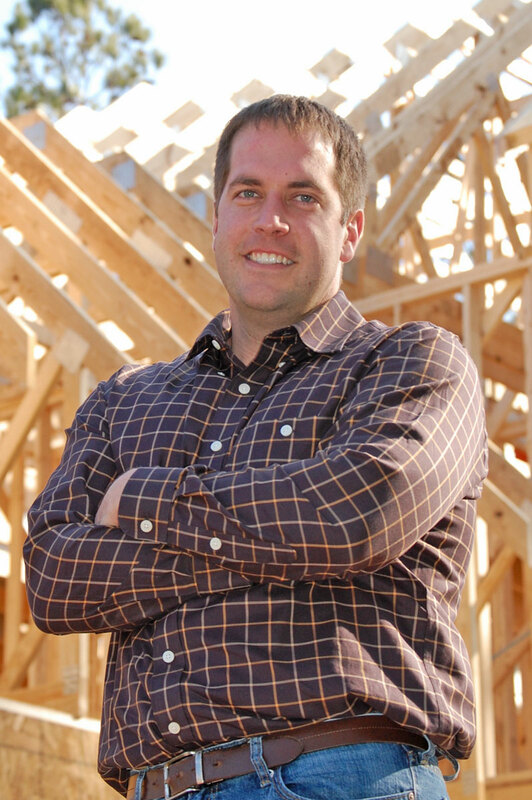 This job instilled in me the experience, skills and commitment needed to begin my own custom homebuilding company. I primarily build houses in Chesterfield County, but I am open to building in other areas. I build in neighborhoods and can also build on your own lot/land. I am currently building in The Highlands subdivision in Chesterfield County. My goal is to provide each homeowner with high quality craftsmanship, professional service, and timely completion at a fair price. I am committed to custom building your home exactly the way you want it and to make your building process as stress free as possible. I personally oversee every aspect of construction and I am on the jobsite daily. As a builder I realize that the subcontractors I choose are an extension of my business. I maintain strong relationships with all of my subcontractors. I wouldn’t hire anyone to work on your home that I wouldn’t have work on my own. I’m a young man who is happily married with two small children and striving to succeed as a business owner. I want to influence my children to see what hard work and dedication can do. I consider myself a pretty easy going person. In my spare time I enjoy playing music and spending time in the outdoors. I attend Chester United Methodist Church and play the guitar in the Praise Worship Band. I am a fair, honest person and strive to do my best. I give each customer 100% and would love the opportunity to build your family your next dream home.